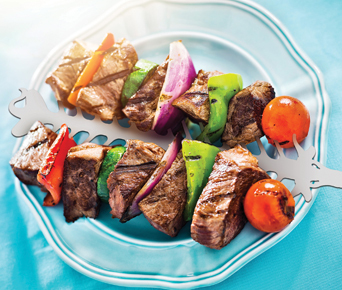 Our Slide & Serve BBQ Skewers is a new take on Shish-ka-bob. 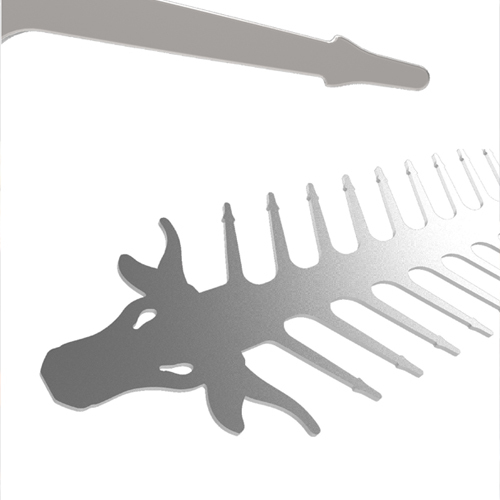 The Skewers are made of stainless steel and each pack comes with 2 design motifs (steer & fish). They are resusable and dishwasher safe. 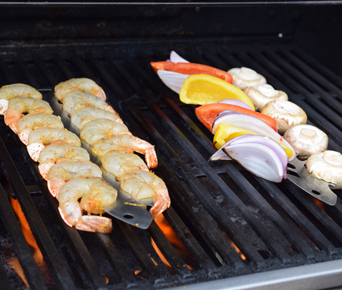 Our Slide & Serve BBQ Skewers are perfect for grilling shrimp, beef, chicken and vegetables. You just slide each piece of food onto a stem and create your own design. 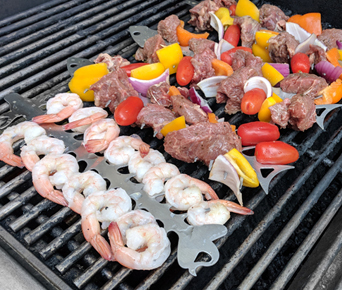 Our Slide & Serve BBQ Skewers have innovative skewer tips to help prevent food from falling off or turning on the grill. 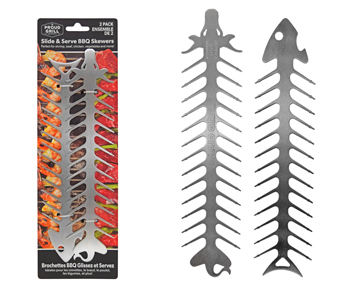 Our Slide & Serve BBQ Skewers are easy to use on the grill. 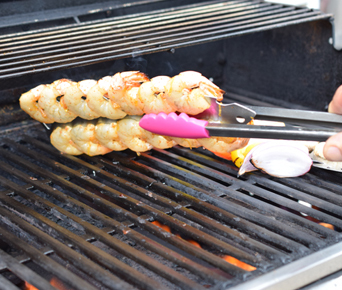 The unique design allows for tongs to easily turn the skewers on the grill either from the middle or head. Our unique design ensures that the food won’t spin (like regular Shish-Kabob) when turning or cooking on the grill. This allows food to cook more evenly. Our Slide & Serve BBQ Skewers can go from grill right to plate presentation. Choose what you want to eat and slide it off. You no longer make a mess fighting to get food off a skewer. Caution : Do not touch the skewers with bare skin when hot. Use tongs to turn and remove from grill. Wait about 5 minutes to serve on plate to allow skewers to cool.